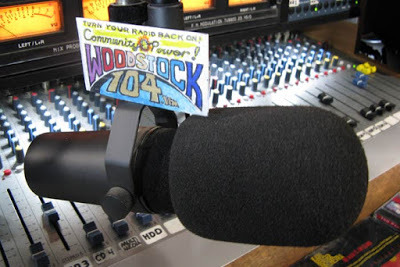 Woodstock, New York – famous for the 1969 rock festival – is also the home of Woodstock Truth Squad, hosted by Steve Romine, which broadcasts on Woodstock 104.1 Community Radio. In this interview Steve and Kevin discuss Kevin’s background and history in the 9/11 truth movement; the history of false flags; Left Forum censorship; the demolition of the World Trade Center; the banking scam that rules the world; the secret history of Saudi-Wahhabi terrorism in service to the British, American and Israeli empires; and more. This show was broadcast on June 26, 2017. This entry was posted on Saturday, June 24th, 2017 at 8:12 am	and is filed under Anti-War, Censorship-Propaganda, Education, False Flag/Fake Terror, Freedom, Kevin Barrett, News, Politics, Protest. You can follow any responses to this entry through the RSS 2.0 feed. That is the ‘quality’ of our Western Arab Rulers and their PHONY Islamic values who are helping the West to Murder millions of Muslims, most of whom are righteous Sunnis [and Shias] and Christians which pleases the State of Israel that wants to destroy Islam and Christianity within the Arab World.